This past weekend I took a little bit of time to sew up the 18 inch doll dress form pattern by Liberty Jane. The pattern has been sitting unused in my stash for a while. Now that Isabelle, the 2014 American Girl Doll of the year, has come out with a dress form as part of her collection, I thought it was time to make one for myself. The pattern description says that it is perfectly proportioned to fit 18 inch doll clothes, which is something I have to disagree with. 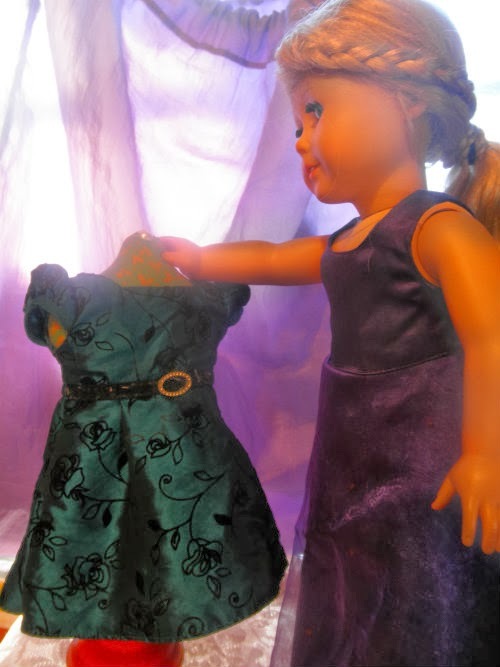 The clothes do fit on the dress form, and it works well enough for a doll prop or even making some small changes on an existing doll outfit, but it's not quite right for draping and drafting your own doll patterns, if that is what you are interested in. I used an American Girl Doll for the test, but the proportions may be better on a different brand. After trying the same dress on our American Girl Doll and then on the dress form, it was clear that the dress form was slightly different in both size and distribution. I found this awesome candlestick at a thrift store for $2 and fell in love with it. While I was there I picked up a teddy bear for $1 and murdered it for it's stuffing. Thank goodness the kids didn't see or there would have been some serious drama. The fabric and other supplies I already had on hand. This dress form is held to the base with hot glue but I think I will use something stronger for the next one. This was a fairly easy project to sew. The most difficult part was attaching the top part of the side panel to the shoulder seam, which requires you to sew very slowly and accurately. I would recommend basting that part by hand before machine sewing to keep your fabric edges lined up. Liberty Jane describes the skill level as easy. I would say it is a project for an ambitious beginner who already has a few projects under their belt. My girls have asked me to make them a dress form to play with. I'm going to see what changes I can make to correct the fit. Once I'm done I'll report back for anyone interested in a more functional doll dress form. If you've tried the pattern please share what you liked or didn't like or changed about it in the comments. 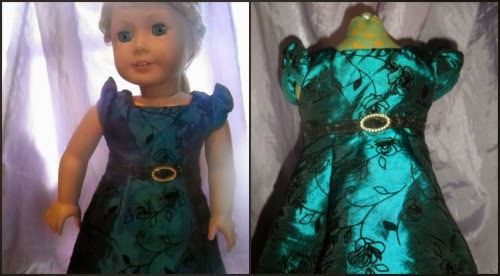 Another doll sewing enthusiast whose blog I love to read, also made this pattern recently. 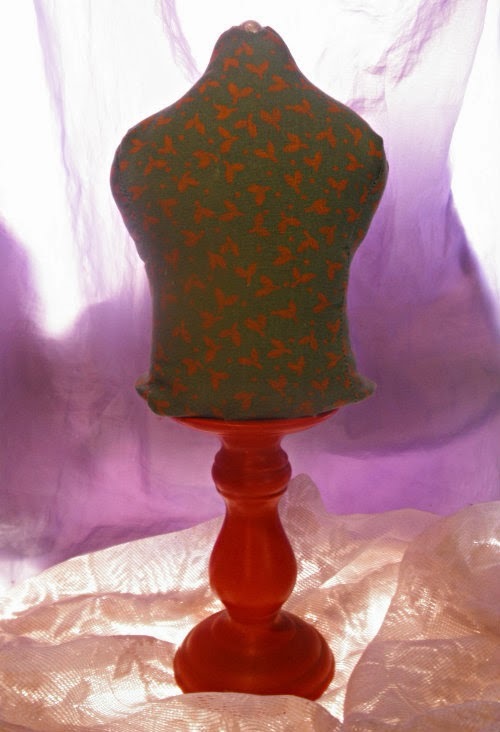 Check out GiGi's Doll and Craft Creations for some more great idea's on design and supplies for the dress form.